I'd like to introduce my second collection for Robert Kaufman. 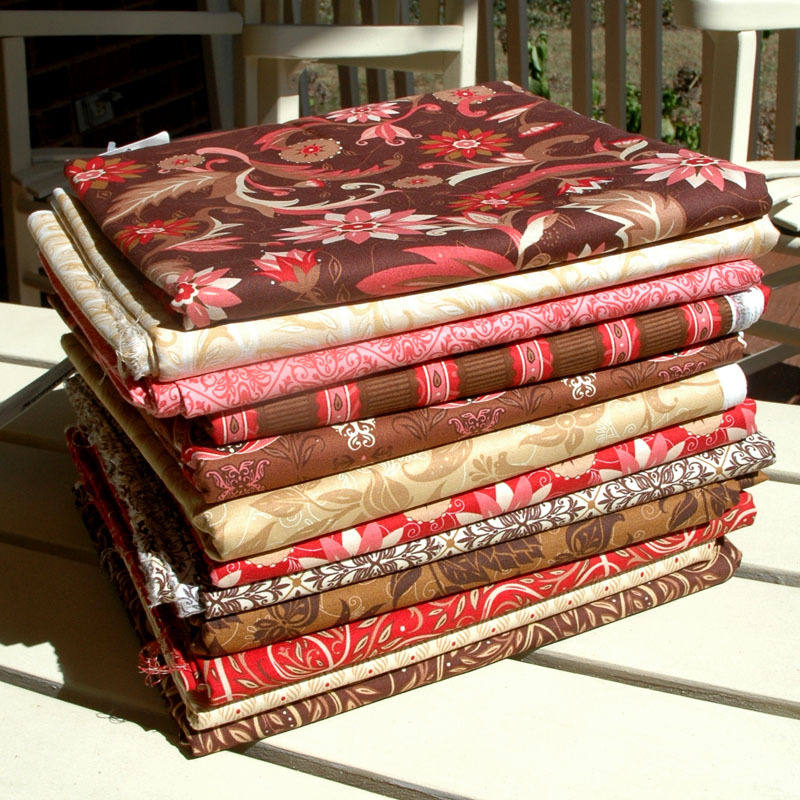 I love these fabrics, because the colors are so rich and easy to live with. 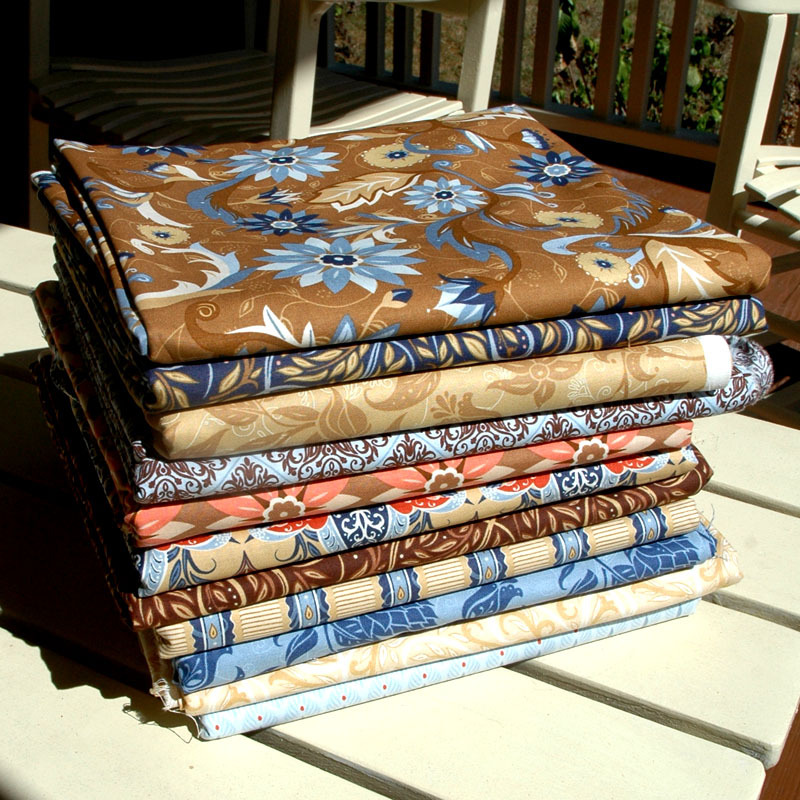 Right now I am awash with advance yardage, whipping up all sorts of goodies. Beautiful fabric - beautiful name for it! I love the new collection -- I may use the Swiss Chocolate (mocha colors)collection when I begin to re-decorate. How do you come up with your ideas? Makes me want to have a piece of chocolate! The fabric is beautiful! Thanks! This collection was inspired by the beautiful designs on chocolate boxes... so maybe I've been eating too much chocolate!